10 minutes: That's how much time I had to tell the audience at the BC Quality Forum about the Choosing Wisely Canada campaign. 10 minutes may be the schedule duration of a routine patient visit with their GP. That's a short amount of time! 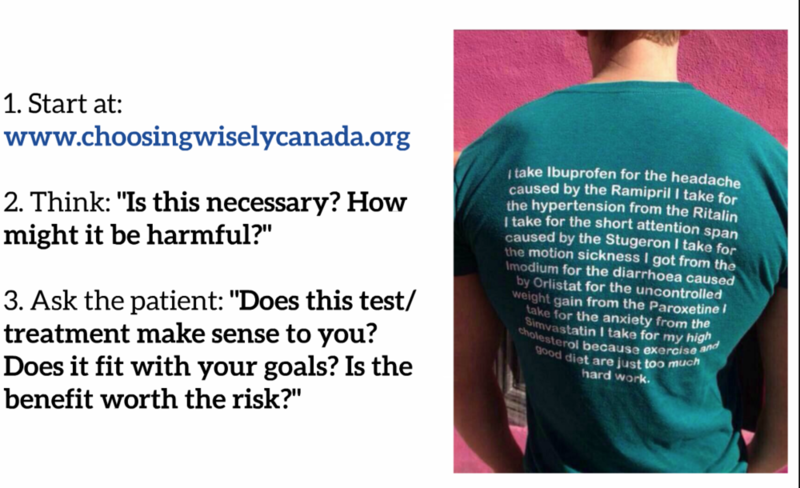 In this short time it is hard to have a fulsome discussion with a patient about their condition, review their history, check in with their goals, and plan a strategy of treatment. It's even harder when the patient has 3 things they want to discuss! If you feel you may need more, check out the slides on Prezi. If you want to see other talks or articles I've done, go to the Media/Talks section.